Teams from Kaohsiung won big at the 2017 Virtual Design World Cup. TAIPEI (Taiwan News) – Teams from the department of architecture at the National University of Kaohsiung won the three top prizes at the 7th Virtual Design World Cup in Tokyo. 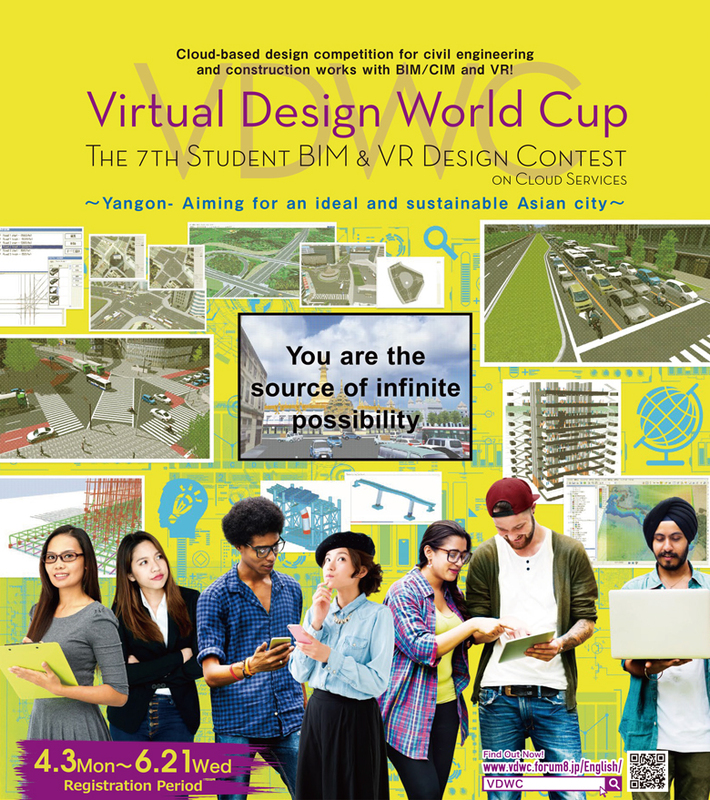 The latest edition of the annual competition for design, architecture, engineering and urban planning students focused on Yangon, the largest city in rapidly developing Myanmar. Chaotic traffic, power shortages and the ever-present threat of flooding were named as the major problems facing the city, the Chinese-language Liberty Times reported, with more than 60 teams competing to find solutions. The Living Labs team from Kaohsiung won the Grand Prix World Cup Award with its “Yangon Green Labs” project, which designed a green corridor from the historic Shwedagon Pagoda into the city with bus interchange stations and ring train ways, all using ample amounts of trees and plants. Solar energy and a sponge effect to counter flooding also play a vital part in the team’s design. The Excellence Award went to the Three People Studio’s “Golden Hub” plan, which focuses on public transportation with elevated and underground stations and drain holes in the middle of the road to collect rain water. The Wu-Gao-Song team from Kaohsiung won an Honorable Judge Award for its “Water Link” proposal based on the concepts of Buddhism. The project includes the generation of power when cars and pedestrians move over road surfaces.